Dartmoor Yurt Holidays offers glamping and the chance to stay in a traditional Mongolian yurt in your own completely secluded setting in Devon. We pride ourselves on offering a unique getaway, with total privacy at the yurts and unhindered access to the natural raw beauty of the area. 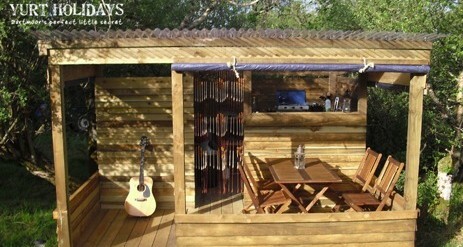 This is where you can get away from all the stresses of everyday life and get back to nature. If you love camping but you don’t like the cramped confines of a flimsy tent, if you love the idea of getting back to nature but still want all your home comforts, then yurt holidays are the perfect thing for you! Whether you want a base from which to explore Dartmoor or the rest of the South West, or are looking for a totally tranquil holiday experience, Dartmoor Yurt Holidays really has it all. Get back to nature and experience the beauty and simplicity of life. Our holiday yurts are situated on the very edge of Dartmoor National Park, offering stunning views and a wealth of things to do and see. There are horse riding stables nearby, kayaking in the river or you can walk straight onto open moorland from our farm. There are also a number of lovely old pubs within walking or driving distance. 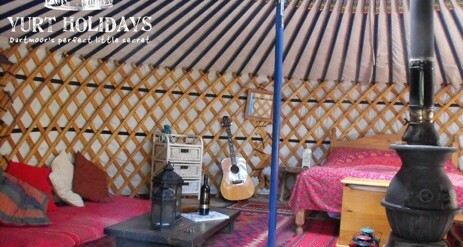 There are two sites to choose from for our yurt holidays. Each of these is utterly private, meaning that you really will be getting away from it all. Lake Yurt is by the edge of a lake, with its own little rowing boat, and where you will often see fish jumping at dusk. 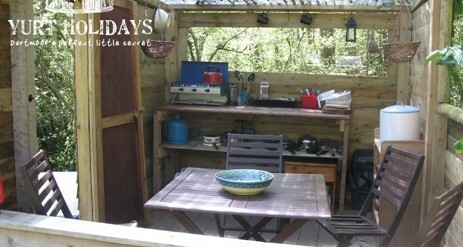 Walk across the rustic wooden bridge to your toilet and shower which are nestled in bluebell carpeted woodland. 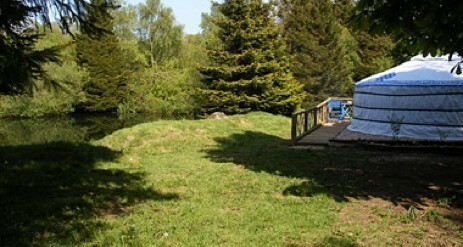 Sunshine Yurt is next to a babbling brook in a sun-filled meadow with far reaching views and horses grazing. There is plenty of space for the kids to run around or play on the swing while you sit by the campfire enjoying the view. 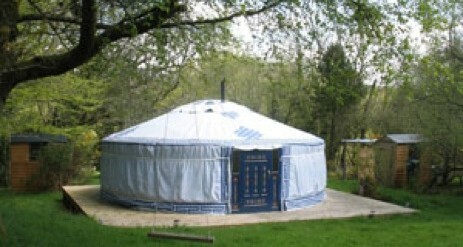 Because our yurts are from Mongolia they have four layers of felt, cotton and canvas to keep you warm, dry and cosy. When the wood-burner is lit and the flames of the candles are flickering in the Moroccan lanterns, there is nowhere more magical or enchanting. And if you love listening to birdsong and the wind in the trees, lighting campfires and sitting out under the stars then come and stay in one of our traditional Mongolian yurts. Most people prefer to bring their own bedding – but we are happy to provide everything you need for a supplementary charge of £7.50 per person. 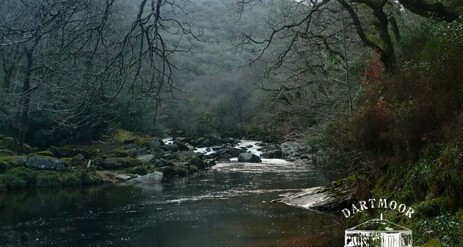 Walking on Dartmoor, sawdustyloo smells; Barbeque sausages, mallow toastings; These are a few of our favourite things!! “For our honeymoon we wanted a place where we could relax and recover from wedding preparations and enjoy time together. We couldn’t have chosen a better place!